It’s time for another giveaway here on TinBoats. Here is your opportunity to win a TinBoats & RazorBaits promotional pack of baits. There will be 6 winners. 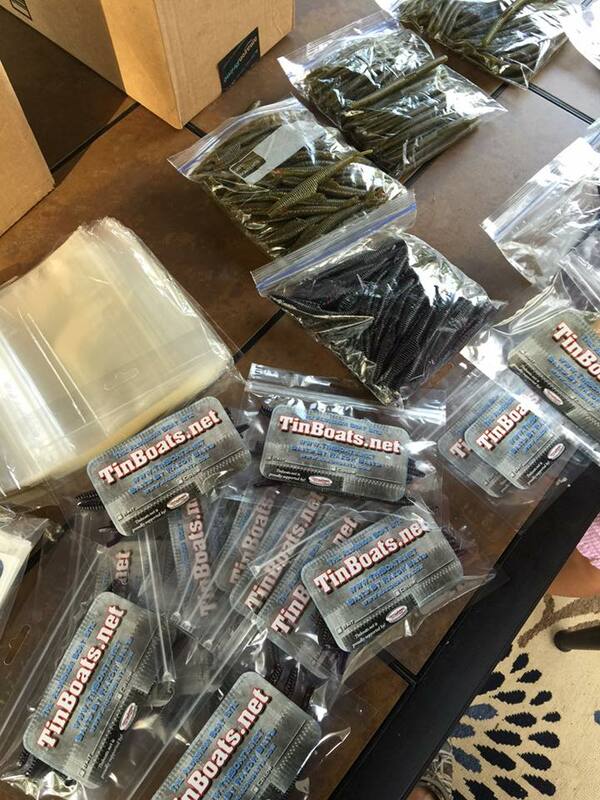 I purchased a bunch of baits from Jim at RazorBaits to make a promotional giveaway package for the site! The very cool thing about this promo pack of baits is that it contains a sample of different baits from RazorBaits. Where else can you try three different baits from one maker? No where! Each pack contains two 7.5″ C-Worms, Two 5.25″ Dip sticks, and One 5.5″ Dart. In my opinion, If you are throwing an Alabama rig, you have to try the Dart! ***Special Bonus for the winners of this contest. If you catch a 5 pound fish or bigger with the baits I send you and you send me a picture, I will send you another package of baits, a TinBoats decal and a 36″ vinyl ruler. To sweeten the pot a little, for those who purchase any baits from Razor Baits and post a picture in the forum, I will send you a TinBoats decal.